From Lown Institute: “Overall, outpatient visits in which a benzodiazepine was prescribed doubled from 3.8% of visits in 2003 to 7.4% in 2015. While most of the prescriptions were for FDA-approved indications, such as anxiety and depression, the largest increases in prescribing were for non-FDA-approved indications, such as back pain and chronic pain. Additionally, while benzo prescriptions by psychiatrists remained stable, the proportion of primary care visits in which benzos were prescribed more than doubled. What does this tell us about the use of benzodiazepines in the U.S.? It seems as though benzos are being increasingly prescribed for conditions for which opioids used to be prescribed, like chronic pain. 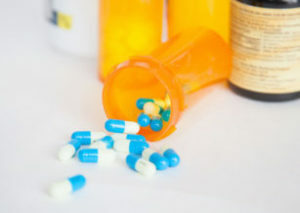 It’s possible primary care doctors have the perception that opioids are risky but benzos are ‘safe.’ However, there are real risks to prescribing benzos long term, including physical dependence and debilitating withdrawal symptoms. Also, the use of benzos along with opioids can lead to overdose and death, as demonstrated by the skyrocketing rate of overdoses involving benzos over the past decade.